ViaAir is a regional boutique airline seeking to restore air travel to the world-class experience it once was. They offer several experiences, including AirCruises, Air Tours, and very affordable fares between Charlotte NC, Beckley WV, Myrtle Beach SC, Farmingdale NY, Niagra Falls NY, and St. Augustine, FL. 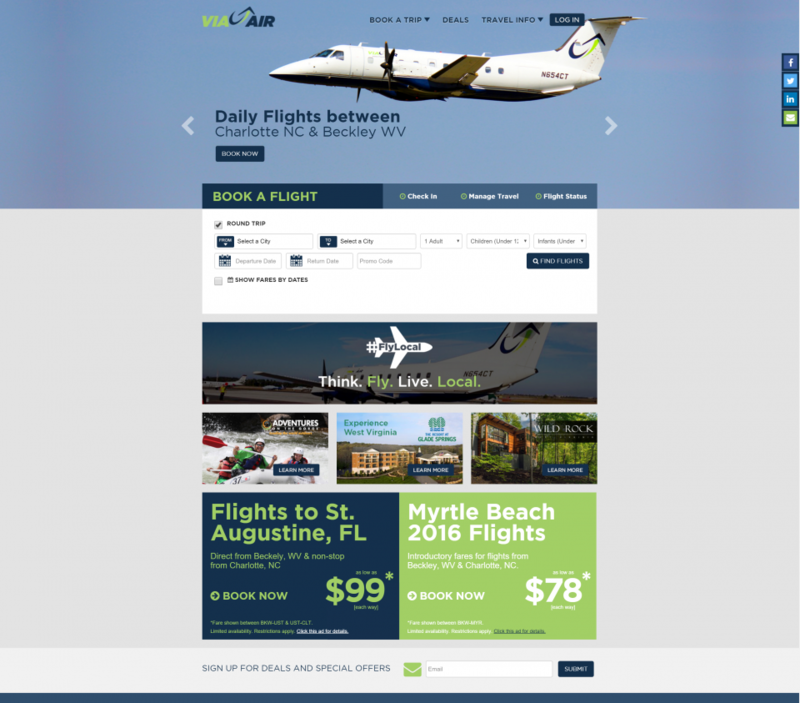 ViaAir asked Webidextrous to work on the front-end UI elements of roundTSA.com and ViaComply.com (both FAA and TSA compliance websites) as well as FlyViaAir.com and its soon-to-launch ViaAir.co website. Webidextrous worked with the team to build elements of the UI to hand off to the back-end programming team using Git, Bootstrap, CSS, jQuery, and PHP.